“I want God to put out his hand, show his face, speak to me. 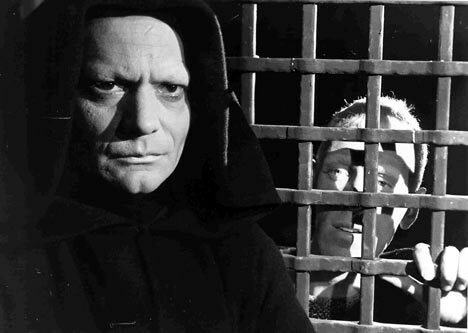 I cry out to him in the dark but there is no one there…” Gloriously impervious to every parody, Ingmar Bergman’s apocalyptic allegory still packs an unstoppable metaphysical wallop half a century on. Trembling with unforgettable imagery, incredible intensity and an oft-forgotten trickle of grim humour, it remains Bergman’s most accessible film and the perfect invite to his seven-decade dance with death. The 39-year-old Swede had been directing for 10 years when he finally hit his groove with this tale of a shattered 14th-century knight (Max von Sydow), who challenges the Reaper to a game of chess for his soul and traipses plague-ravaged Europe on a search for faith in God. Guaranteed to thunder on the big screen.